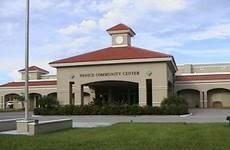 The Venice Community Center (VCC) is a beautiful 45,000 sq. ft. regional facility that serves the needs of residents and visitors in Sarasota County as well as counties to the north and south. It is the venue of choice for social, cultural, recreational and educational events held in Sarasota County. The center is home to many expos, weddings, seminars, concerts, proms, classes, dances and much, much more! Our staff strives to provide a first-class experience with customer-focused event planning, and a memorable experience for all at a competitive price. For more information, call 941-861-1380 or visit us at 326 Nokomis Ave. S., on the Cultural Campus.